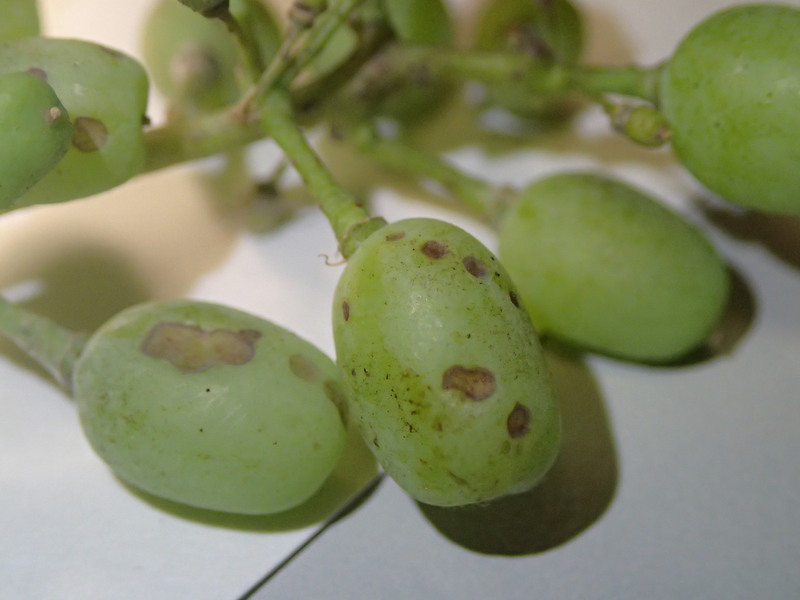 Pest description and crop damage Variously colored shield-shaped bugs that feed on flowers and fruit, resulting in poor set or malformed fruit. 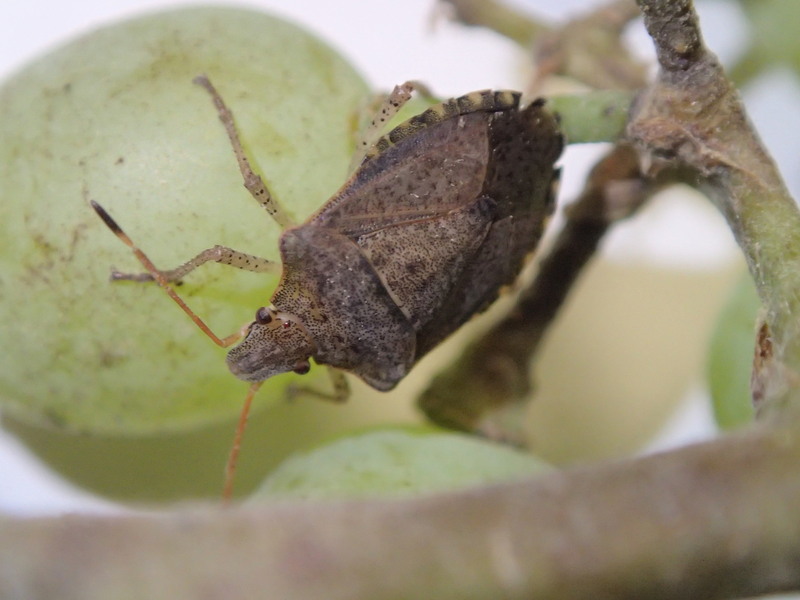 Stink bugs are not currently known to be economic pests of grape in Oregon. Chemical control information is not widely available and is not considered effective at this time, in part because of low infestation levels. EMERGING PEST: Brown Marmorated Stink Bug-A Pending Threat to Pacific Northwest Agriculture.